Services listed above are 2 separate giveaways. Effective Immediately: Due to client volume, it is extremely important that clients reschedule in a timely manner. Therefore, Clients will NOT be allowed to Cancel/Reschedule appointments within 2 hours of appointment time. You WILL be allowed to reschedule but only with Additional Deposit. Deposit are required to secure appointment times, (no other client will be allowed to choose your time slot). I do apologize for any inconveniences. Thank you so much for your business. I appreciate you all. 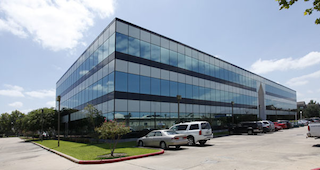 From the Beltway, we are Located in the Westchase Area on Richmond Ave., just passed Kirkwood. Scheduling is easy! Select date, time and service. Pay Deposit or Pay in Full, Choose Gratuity Amount, Done! If you are 10 minutes late or more, you WILL have to reschedule your appointment(Each appointment is scheduled in 20 min blocks ). This service is just what the doctored ordered! It helps to get rid of dark marks and old ingrown scars from previous shaving or waxing mishaps. It's similar to a facial however it's totally for your " Lady bits". This is the basic and lease agressive "enhancement". You would select this if you have very little scaring or marks. It helps to get rid of dark marks and old ingrown scars from previous shaving or waxing mishaps. It's similar to a facial however it's totally for your " Lady bits". This is the a more agressive "enhancement". You would select this if you have moderate scaring or marks. It helps to get rid of dark marks and old ingrown scars from previous shaving or waxing mishaps. It's similar to a facial however it's totally for your " Lady bits". This is the Most agressive "enhancement". You would select this if you have bad scaring and serve ingrowns . This removes hair that extending more than two inches(about to fingers wide) outside of bikini area. This service using a type of tattoo instrument to mimic hair like strands in the brow area. It will typically last for one year. This option can only be purchased if you have an subscription. This option can be selected ONLY if you have purchased the subscription. You'll get the discounted price of $65 for Brazilian underarm wax. Each month, for up to 6 months, you'll be charged $65 for both services. ****This amount doesn't include gratuity. If you want an even bigger discount, check out the pay in full option. Give the gift of Smooth! $50 to spend on any services in salon! We don't make you beautiful, we just enhance it. Men manscape too! With this package you prepay or six wax services. Each wax would normally cost 80$ per service. This package gives you a 10$ discount on each service, so each service will cost 70$. After completing those 6 services, you'll then qualify for the VIP wax package at which you'll only pay 65$ per wax after purchasing the VIP package. To qualify for VIP package you can't havev ANY CANCELATIONS or NO CALL no shows. However you can reschedule as many times as you need to.